After focusing on enlightenment, interpersonal relating and emotional release for many years, Tapas Fleming began an acupuncture practice in 1987 specializing in the treatment of allergies. Searching for a simple, effective treatment, she developed TAT in 1993. Tapas soon realized that in addition to relieving her patients’ allergic reactions, TAT was learning the effects of their past unpleasant or traumatic experiences in an easy, gentle way. Now one of the most celebrated leaders in energy psychology, Tapas has taught TAT to hundreds of thousands of enthusiastic people worldwide. She always finds it a great pleasure to teach TAT to others because it is so empowering and liberating and supports people in creating a vibrant, healthy life full of meaning and fulfillment. Andy began his training in Healing and Spiritual growth in 1985, he was initiated as a Master Healer and then certified as a Clear Channel of the Ascended Masters. Andy then combined these skills with Reiki and soft tissue bodywork that he developed under the name Breakthrough Bodywork. Andy led men’s groups for eight years as a volunteer coach and mentor and worked as a counselor with teenagers in care for ten years for the Government of British Columbia. 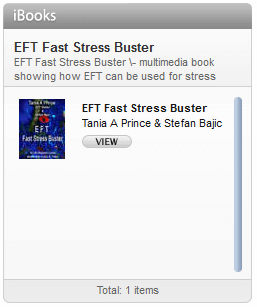 He has been working with EFT since 2000 and became certified as an EFT Master in 2006. Andy has delivered workshops, lectures and personal sessions on four continents, six countries and many states in the last five years. Andy combines his strong intuitive powers with his healing initiations to enhance the amazing effects of EFT. Andy believes that releasing past trauma and regaining your natural health can be fun and he brings heart and humour to all his presentations. Andy recently moved to the United Kingdom and is a dual citizen of Canada and Great Britain. 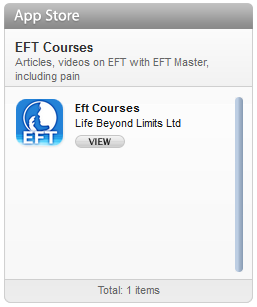 courses on EFT for over 9 years. recognised trainer in NLP, EFT, TAT and Hypnotherapy, as well as having trained in counselling and BSFF. courses on Public Speaking and Marketing in Manchester, England. Ann is a talented and creative therapist, coach and facilitator. She is recognised world wide as an inspirational teacher and presenter, with a highly developed intuition and a heart and mind attuned to a more expansive view of the world. Ann is well known for walking her talk and inviting students and clients to do the same. 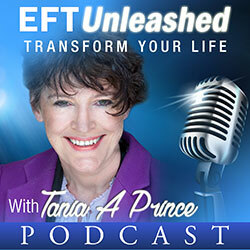 She is the creator of “EFT for Being True to your Self” and has been featured on radio, and in magazines many times. She trains level 1/2/3 EFT and is a TAT Trainer. She has also developed many workshops and courses such as “Millionaire Mindset” “Who do you think you Are” and “Designing Your Own Destiny”. Ann also trains people to be EFT coaches and leads interactive teleclasses. showcase their new work with EFT. breast cancer, offering group workshops and individual sessions. client and a joy to witness. as author of the soon to be released book with the same title. assessor for the Alliance of Registered Homeopaths. meditation to Energy Therapists world-wide. His work as a practitioner is now largely confined to treating serious diseases and more difficult cases using the latest techniques of EFT. He works with clients from across the world both by telephone and by personal visits. Tam is actively involved in spreading word about EFT and regularly gives presentations across the world to a wide range of audiences ranging from lay-people to practitioners of conventional medicine. He is an active member of the Association for the Advancement of Meridian Energy Techniques (AAMET) www.AAMET.org and has been instrumental in setting up sister organisations to the AAMET in Ireland, Spain, Israel, Saudi Arabia, Thailand, Italy and South Africa. He is now actively pursuing the formation of similar bodies in other countries. DVD set Mastering EFT and seeks to help all to build skill and confidence in using the wonderful and simple gift that is EFT. Psychology training with the developers of EFT, TAT & BSFF. been teaching EFT & BSFF in the UK and throughout the world. Practitioner status from Gary Craig the developer of EFT. trainer in the field of EFT and EmoTrance. with Down Syndrome and Autism. Achievers” of the Board of Turkish Achievement Awards in 2003.
of America’s greatest transformational teachers, such as; Dr.
(EFT), Dr. Larry Nims, developer of Be Set Free Fast (BSFF), Dr.
in good standing with the National Guild of Hypnotists (NGH). have been viewed nearly a million times in less than 19 months. therapy (ACT), hypnotherapy and various other modalities. of professional standards and training within AAMET. and 3). She continues to travel, write and paint. Kranj, Slovenija. She has a background in Mathematics and IT. EFT Manual (by Gary Craig) into Slovenian. have received tremendous feedback from the sessions. working intuitively with clients . this constant technique still jaw dropping stuff. believes sums her life up so far. attend exhibitions, talks etc .offering demonstrations. anyone interested, as to their many applications. Program when it was closed. makes you feel absolutely wonderful when you use it. to me, physically, mentally, emotionally and spiritually. their own potential as I have been able too”. experiences to help relate and empathise with her clients. years and Voluntary EFT Therapist at a local cancer centre. deliver training in the UK. Limits Ltd reserves the right to change the programme. this gift to the world.